Add MX record to define Mail Server to use. 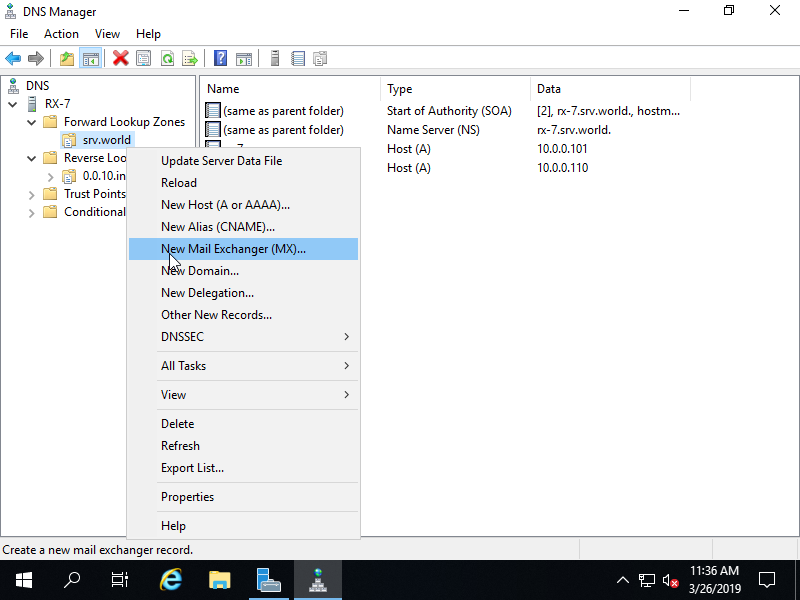 For example, Add MX record with settings of hostname [rx-8] into a Zone [srv.world] as Mail exchanger. 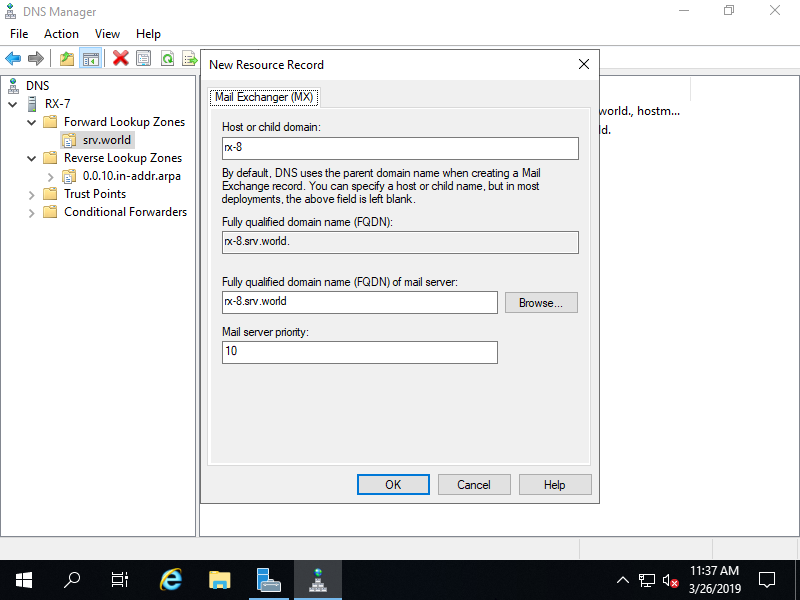 Run Server Manager and select [Tools] - [DNS], next right-click the own domain name to show menu on the left pane, then select [New Mail Exchanger(MX)...]. 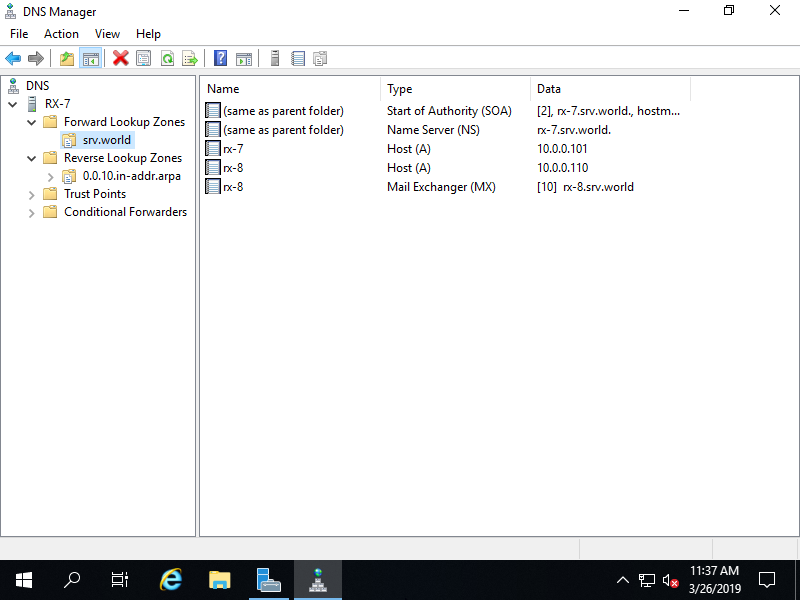 Input Hostname and FQDN of Mail exchanger like follows. A new Mail exchanger record has beed just added.